We are open 7 days a week, from 10am. Closed Monday & Tuesday evening. Brunel’s serve brunch with a difference, 4,8,4 lunch, early bird evening & fine dining evening experience. The most amazing cocktails and fine wines and local craft beers & cider. An award-winning restaurant in the heart of Newcastle, County Down providing fresh, local, seasonal cuisine. "Good food from the heart." Originally opening in 2014, we are set to open our new 70-seater restaurant in central Newcastle with a brand new state-of-the-art kitchen due to the high customer demand as a result of our outstanding reputation for service and fine dining. Focusing on bold and creative gourmet dishes, Brunel’s will use only the freshest in regionally sourced ingredients to create dishes that will both challenge and inspire, showcasing seasonal local fayre at it’s very best. It will be our mission to deliver exceptional quality, reasonably priced dishes, served in a relaxed environment by professional but friendly staff. The food is simply amazing. Such attention to detail. Textures, tastes, presentation and service makes this the best restaurant in Co. Down. Seasonal and foraged produce combine to give a uniquely special experience. You have to travel to the Michelin starred restaurants in Belfast to get better but even then it will be close. Marvellous menu. Loved the rabbit and the candied parsnip was a triumph. Special thanks for the champagne for my sister's birthday. All the staff were excellent. First time I've been in the new premises and am delighted that you're doing well. Thanks for a great meal. Absolutely brilliant cant wait to go back. Waited almost 1 hour for main course. When it arrived, all meals and side dishes were stone cold. Reported this to waitress who said she would pass it onto the chef. No recompense offered and no further acknowledgement or apology. Will not be back. Expect much higher standard from a restaurant that claims tonbe high quality. Great staff fantastic service. Food is awesome. love eating here. A very enjoyable Sunday lunch with traditional fare prepared and served with flair. Flavourful and balanced meals. Brunels is our new first choice restaurant in Newcastle. Staff were very friendly, making a great relaxing evening. Food was superb. Starters and main were so good, had to have dessert knowing it was going to be special. Chocolate fondant, just amazing, well done chefs. Been here a couple of times now and out is very good. Would recommend it without any problem. Food is very good at brunels & staff are nice but the service is extremely slow. We(a group of 4 people) waited nearly an hour on our food. It was lunch time & the restaurant was very quiet at the time. Wonderful evening, food was delicious but also artistic which meant my group felt like they had a special evening. We were looked after very well by the team, thanks so much. 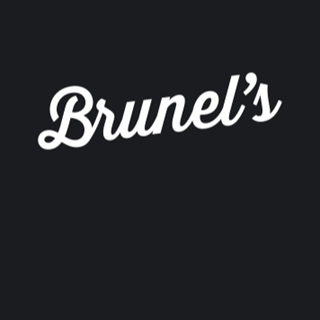 We booked Brunel's for our daughter's first birthday and were delighted with the food and the service. The restaurant is beautiful with lots of space which was important as we invited grandparents along. The staff couldn't have been more helpful and were attentive at every stage even providing a candle for the cake as we had forgotten our own. Thank-you very much Brunel's! Really relaxed atmosphere . Food great and service just that right mix of contact and peace to chat. Hayle seems to have that down to a T and occasional one liners too ! Excellent meal and service. The only criticism I have was that there was a really cold draft came into the dinning room very regularly. But it was not coming from the front door. Very warm & welcoming atmosphere. Staff extremely helpful. A very enjoyable evening with superb food. Great evening with great food and drink. Great food but long wait for our main course! Staff super nice! However service slow after main was served. What a wonderful restaurant, the front of house staff are absolutely superb, very friendly, welcoming, knowledgeable and awesome with kids. Couldn’t recommend enough! Will certainly return the next time we are in Newcastle. Food was absolutely delicious and we can not fault the friendliness and helpfulness of the staff.